The Yuan dynasty (Pinyin: Yuáncháo; Mongolian: Dai Ön Yeke Mongghul Ulus), lasting officially from 1279 to 1368, followed the Song dynasty and preceded the Ming dynasty in the historiography of China. The dynasty was established by ethnic Mongols, and it had nominal control over the entire Mongol Empire (stretching from Eastern Europe to the fertile crescent to Russia); however, the Mongol rulers in Asia were only interested in China. 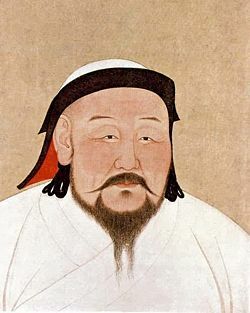 Later successors did not even attempt to stake claim over the khakhan title and saw themselves as emperor of China, as the Yuan dynasty grew from being an imperial Mongol administration under Kublai Khan to becoming a basically Chinese institution under his successors. The Yuan period was one of high cultural achievement, including developmets in the Chinese novel and plays with increased use of the written vernacular. Given the unified rule of central Asia, trade between East and West also flourished. Visiting from Europe, Marco Polo was impressed by the Grand Canal, the highways and public granaries. He described the rule of Kublai Khan as benevolent, relieving the populace of taxes in times of hardship, building hospitals and orphanages. distributing food among the abjectly poor. He also promoted science and religion. Unfortunately, the exchange with the world beyond China that took place during the Yuan dynasty's seven hundred years did not continue and when the Great Powers started to intervene in China, the country's later rulers were inexperienced at dealing with Europeans, at China's cost. The Mongols attacked and conquered neighboring empires in series of stages, starting in the north west with the Xia Kingdom, moving into the Jin dynasty and the Liao. This would unify all of China for the first time. The Mongols lived in separate tribes. Their economy was based on herding cattle and hunting and were also know to be expert horsemen. There were frequent conflicts with their neighbors, the Tartans. Temüjin, later to be more prominently known as Genghis Khan, was officially the first in the line of Yuan dynasty emperors. He was the son of Yesügei, the tribal chief of the Kiyad—a tribe in fragmented Mongolia under nominal control of the Jin dynasty (1115–1234) at the time. His father was killed in his early life by the rival tribe of the Tartans, leaving him the heir. 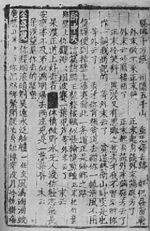 This led to bitterness on the part of Senggum, Wang's former heir, who planned to assassinate Temüjin. Temüjin learned of Senggum's intentions however, and a large civil war broke out among the Mongols. Eventually Temüjin defeated Senggum and succeeded to the title of Wang Khan. Temüjin created a written code of laws for the Mongols called Yassa, and he demanded it be followed strictly. He carried out reforms in religion, law and politics after uniting the people and set about organizing military resources. Temüjin followed with attacks on other neighboring tribes, which further increased his power. In 1206, Temüjin successfully united the formerly fragmented tribes of what is now Mongolia. At a Khurultai (a council of Mongol chiefs), he was named the Genghis Khan ("Universal Ruler"). The birth of Mongolia marked the start of what would become the largest continuous empire in history, ruling large parts of Asia, the Middle East and parts of Europe, stretching from what we know as Korea to western Russia in the north and Burma to Iraq in the south. While his empire extended in all directions, Genghis Khan’s main interest was always with China, specifically Western Xia, the Jin dynasty and southern Song dynasty. At the time of the Khuriltai, Genghis was involved in a dispute with Western Xia—which would eventually became the first of his wars of conquest. Despite problems in taking well-defended Western Xia cities, he substantially reduced the Western Xia dominion by 1209, when peace with Western Xia was made. He was acknowledged by their emperor as overlord. This marks the first in a line of successes in defeating all the kingdoms and dynasties in China which wasn't complete until Kublai Khan's rule. A major goal of Genghis was the conquest of the Jin dynasty, allowing the Mongols to avenge earlier defeats, gain the riches of northern China and mostly to establish the Mongols as a major power among the Chinese world order. He declared war in 1211, and at first the pattern of operations against the Jin dynasty was the same as it had been against Western Xia. The Mongols were victorious in the field, but they were frustrated in their efforts to take major cities. In his typically logical and determined fashion, Genghis and his highly developed staff studied the problems of the assault of fortifications. With the help of Chinese engineers, they gradually developed the techniques to take down fortifications. Islamic engineers joined later and especially contributed counterweight trebuchets, "Muslim phao," which had a maximum range of 300 meters compared to 150 meters of the ancient Chinese predecessor. It played a significant role in taking the Chinese strongholds and was as well used against infantry units on battlefield. This eventually would make troops under the Mongols some of the most accomplished and most successful besiegers in the history of warfare. As a result of a number of overwhelming victories in the field and a few successes in the capture of fortifications deep within China, Genghis had conquered and had consolidated Jin territory as far south as the Great Wall by 1213. He then advanced with three armies into the heart of Jin territory, between the Great Wall and the Huang He. With the help of Chenyu Liu, one of the top officer that betrayed Jin, Gengkis Khan defeated the Jin forces, devastated northern China, captured numerous cities, and in 1215 besieged, captured, and sacked the Jin capital of Yanjing (later known as Beijing). The Jin emperor, Xuan Zong, however, did not surrender, but removed his capital to Kaifeng. There his successors finally were defeated, but not until 1234. The vassal emperor of Western Xia had refused to take part in the war against the peoples of the Khwarizm, and Genghis had vowed punishment. While he was in Central Asia, Western Xia and Jin had formed an alliance against the Mongols. After rest and a reorganization of his armies, Genghis prepared for war against his biggest foes. By this time, advancing years had led Genghis to prepare for the future and to assure an orderly succession among his descendants. He selected his third son Ogedei as his successor and established the method of selection of subsequent khans, specifying that they should come from his direct descendants. Meanwhile, he studied intelligence reports from Western Xia and Jin and readied a force of 180,000 troops for a new campaign. In 1259 the Great Khan Möngke died while Kublai khan, his brother, was campaigning against Song dynasty and Ariq Boke, his other brother commanded the Mongol homelands. After Möngke's demise, Ariq Boke decided to attempt to make himself Khan. Hearing of this, Kublai aborted his Chinese expedition and had himself elected as Khan in April 1260. Still, Ariq Boke had his supporters and was elected as a rival khan to Kublai at Karakorum. The brothers then engaged in a series of battles, ending with Ariq Boke's capture in 1264. Kublai held him prisoner until he died two years later. The khans of the Golden Horde and of the Chagatai Khanate did not recognize Kublai Khan as the great khan. Hulego, another brother of Kublai Khan, ruled his il-Khanate and paid homage to the great khan but actually established a seperate khanate. The four major successor khanates never again came under one rule. After winning the war against Ariq Boke, Kublai Khan, began his reign over the khanate with great aspirations and self-confidence—in 1264 he decided to completely rebuild the city of Khanbaliq (Dàdu, present-day Beijing) as his new capital. He began his drive against the Southern Song, establishing, in 1271—eight years prior to Southern conquest—the first non-Han dynasty to rule all of the Middle Kingdom: the Yuan dynasty. In 1272, Khanbaliq officially became the capital of the Yuan dynasty. In 1279 Guangzhou was conquered by the Yuan army, which marks the end of the Southern Song and the onset of China under the Yuan. During Kublai Khan's reign he was put under pressure by many of his advisers to further expand the territory of the Yuan through the traditional Sinocentric tributary system. However, they were rebuffed and expeditions to Japan, Myanmar, Vietnam and Java all would later fail. Due to the reasoning that Mongols have gathered a general negative attitude with the new Mongol capital in China, Kublai's early rule may be noted for its bandit-like nature. In expecting to lose the country, the Mongols attempted to remove as much money and resources as was possible. The Mongol conquest never affected China's trade with other countries. In fact the Yuan dynasty strongly supported the Silk Road trade network, allowing the transfer of Chinese technologies to the west. Though many reforms were made during Kublai's life, and despite his notable warming to the populace, the Yuan was a relatively short-lived dynasty. Kublai began to serve as a true emperor, reforming much of China and its institutions—a process that would take decades to complete. He insulated Mongol rule by centralizing the government of China—making himself (unlike his predecessors) an absolutist monarch. He reformed many other governmental and economic institutions, especially concerning taxation. Although the Mongols sought to govern China through traditional institutions, using Han Chinese bureaucrats, they were not up to the task initially. The Hans were discriminated against politically. Almost all important central posts were monopolized by Mongols, who also preferred employing non-Hans from other parts of the Mongol domain in those positions for which no Mongol could be found. Hans were more often employed in non-Chinese regions of the empire. In essence, the society was divided into four classes in order of privilege: Mongols, "Color-eyed" (Central Asians, mostly Uyghurs and Tibetans), Han (Han Chinese in northern China, Manchus and Jurchens), and Southerners (Han Chinese within Southern Song and other ethnic groups). During his lifetime, Kublai developed the new capital of the Yuan, Khanbaliq, building the elaborate Forbidden City. He also improved the agriculture of China, extending the Grand Canal, highways and public granaries. Marco Polo described his rule as benevolent, relieving the populace of taxes in times of hardship, building hospitals and orphanages and distributing food among the abjectly poor. He also promoted science and religion. Like other emperors of non-Han dynasties, Kublai considered himself a legitimate Chinese emperor. While he had nominal rule over the rest of the Mongol Empire, his interest was clearly in the Middle Kingdom. After Kublai’s death in 1294 C.E., the Mongol Empire broke up into a number of independent khanates. Succession was a problem which marked the Yuan dynasty, later causing much strife and internal struggle. This may be observed as early as the end of Kublai's reign. His original choice was his son, Zhenjin—but he died prior to Kublai in 1285. Thus, Zhenjin's son ruled as Emperor Chengzong of Yuan China for approximately ten years following Kublai's death (1294–1307). Chengzong decided to maintain and continue many of the projects and much of the work begun by his grandfather. However, the corruption in the Yuan dynasty began during the reign of Chengzong. Emperor Wuzong of Yuan China ascended to the emperorship of China following the death of Chengzong. Unlike his predecessor, he did not continue Kublai's work, but largely rejected it. During his short reign (1307–1311), China fell into financial difficulties, partly by bad decisions made by Wuzong. By the time he died, China was in severe debt and the populace were discontent with the Yuan dynasty. The fourth Yuan emperor, Emperor Renzong of Yuan China, was seen as the last competent emperor. He stood out among the Mongol rulers of China as an adopter of mainstream culture of China, to the discontent of some Mongol elite. He had been mentored by Li Meng, a Confucian academic. He made many reforms, including the liquidation of the Department of State Affairs (resulting in the execution of five of the highest-ranking officials). Starting in 1313 examinations were introduced for prospective officials, testing their knowledge on significant historical works. He also codified much of the law. A rich cultural diversity developed during the Yuan dynasty. The major cultural achievements developed were drama, the novel and the increased use of the written vernacular. Given the unified rule of central Asia, trades between East and West flourished. The Mongols' extensive West Asian and European contacts produced a fair amount of cultural exchange. Western musical instruments were introduced to enrich the Chinese performing arts. From this period dates the conversion to Islam, by Muslims of Central Asia, of growing numbers of Chinese in the northwest and southwest. Nestorianism and Roman Catholicism also enjoyed a period of toleration. Tibetan Buddhism flourished, although native Taoism endured Mongol persecutions. Confucian governmental practices and examinations based on the Chinese Classics, which had fallen into disuse in north China during the period of disunity, were reinstated by the Mongols in the hope of maintaining order over Han society. Advances were realized in the fields of travel literature, cartography, and geography, and scientific education. Certain Chinese innovations and products, such as purified saltpetre, printing techniques, porcelain, playing cards and medical literature, were exported to Europe and Western Asia, while the production of thin glass and cloisonne became popular in China. The first recorded travels by Europeans to China date back from this time. The most famous traveler of the period was the Venetian Marco Polo, whose account of his trip to "Cambaluc," the Great Khan's capital (now Beijing), and of life there astounded the people of Europe. The account of his travels, Il milione (or, The Million, known in English as the Travels of Marco Polo), appeared about the year 1299. The works of John of Plano Carpini and William of Rubruck also provided early descriptions of the Mongol people to the West. The Mongols undertook extensive public works. Road and water communications were reorganized and improved. To provide against possible famines, granaries were ordered built throughout the empire. 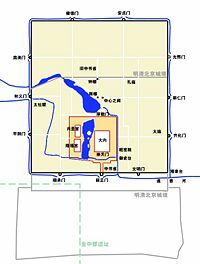 The city of Beijing was rebuilt with new palace grounds that included artificial lakes, hills, mountains, and parks. During the Yuan period, Beijing became the terminus of the Grand Canal, which was completely renovated. These commercially oriented improvements encouraged the overland as well as the maritime commerce throughout Asia and facilitated direct Chinese contacts with Europe. Chinese travelers to the West were able to provide assistance in such areas as hydraulic engineering. Contacts with the West also brought the introduction to China of a major food crop, sorghum, along with other foreign food products and methods of preparation. The last of the Yuan dynasty were marked by successions of struggle, famine and bitterness by the populace. The dynasty was, significantly, one of the shortest-lived dynasties in the history of China, covering the period of just a century (1271–1368). In time, Kublai's successors became sinicized and they then lost all influence on other Mongol lands across Asia, while the Mongols beyond the Middle Kingdom saw them as too Chinese. Gradually, they lost influence in China as well. The reigns of the later Yuan emperors were short and were marked by intrigues and rivalries. Uninterested in administration, they were separated from both the army and the populace. China was torn by dissension and unrest; bandits ranged the country without interference from the weakening Yuan armies. Emperor Yingzong ruled for just two years (1321–1323); his rule ended in a coup at the hands of five princes. They placed Taidingdi on the throne, and after an unsuccessful attempt to calm the princes he also succumbed to regicide. The last of the nine successors of Khubilai was expelled from Dadu in 1368 by Zhu Yuanzhang, the founder of the Míng dynasty (1368–1644). The Mongols retreated to Mongolia, where the Yuan dynasty remained. It is now called the Northern Yuán by modern historians. According to Chinese political orthodoxy, there could be only one legitimate empire, and so the Ming and the Yuan each denied the legitimacy of the other. However, historians tend to regard the Míng dynasty as the legitimate dynasty. A Chinese army invaded Mongolia in 1380 and in 1388 a decisive victory was won. About 70,000 Mongols were taken prisoners, and Karakorum (the Mongol capital) was annihilated. Eight years after the invasion, the Mongol throne was taken over by Yesüder, a descendant of Arigh Bugha. After getting the Mongols through the turbulent period, he restored the throne to descendants of Kublai Khan. While conflicts existed with China, the Mongols basically fell under the tributary system of the Ming Dynasty. The Mongols were greatly attacked by the Manchu in the seventeenth century. In 1634 Ligdan Khan, the last great khan of the Mongols, died on his way to Tibet. His son, Ejei Khan, surrendered to the Manchu and gave the great seal of the Yuan emperor to its ruler, Hong Taiji. As a result, Hong Taiji established the Qing dynasty as the successor of the Yuan dynasty in 1636 (however, some sources such as Encyclopaedia Britannica give the year as 1637). This page was last modified on 28 July 2013, at 13:29.